David R. Pierce & Jr. | I.K International Publishing House Pvt. 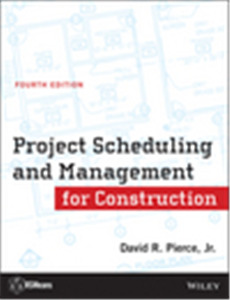 Ltd.
David R. Pierce & Jr.
David R. Pierce, Jr. has been involved in construction project management for more than forty years as a Professor of Construction Management, and as a scheduler, project engineer, and consultant on commercial and industrial projects. His teaching career includes service at the University of Florida, California Polytechnic State University, San Luis Obispo, and Southern Polytechnic State University, Marietta, Georgia. His field experience includes working as a consultant specializing in CPM scheduling, and in forensic consulting, specializing in cost and delay claims. List of Books written by David R. Pierce & Jr.